i haven't confessed since that first one earlier this month, so i thought it was time...plus, friday confession was polly's original idea with it, so the day is even right. it is friday, right? i've kinda lost track this week. : : i admit this is just another way of doing one of those random lists i love so much. 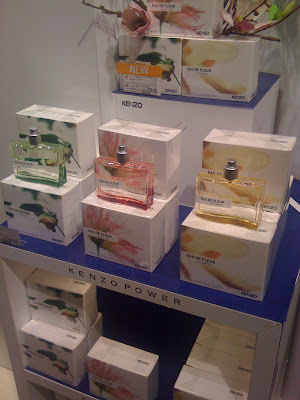 : : i've used up a rather shocking amount of my kenzo eau de fleur de thé perfume this week instead of showering regularly. : : sabin and i ate carpaccio for dinner three days this week. plus a soft boiled egg with spears of aspargus dipped into it. we always eat weird raw stuff when husband is away. and yup, that's a super cool heather moore skinny laminx egg cup cradling that egg. : : i am fighting an urge to go downtown and see if there is anything summery and wonderful in the form of a dress for me. but (aside from the kenzo) i've done so well on extending austerity april into may that it would be a shame to break it here right at the end. : : and i really want my own pair of converse all-stars, which are apparently affectionately called chucks, but which i can't really bring myself to call that because i am lacking the cultural reference for that name. but that's my own fault for removing myself from that culture for over a decade. i have the same thing with something called "wife beaters" that people keep mentioning. i have no idea what those are. anyway, i want light yellow converse all-stars. i don't know why that color, as i have nothing else that's yellow, it just that the thought of those makes my heart sing. i hope they make them in that color. : : very often my kitchen sink area looks like above because it's where i draw the line as to how i want to expend my energy allotment for the day. so much for that feature on apartment therapy. : : i am so relieved that all of my articles are done now and just awaiting the final approvals. and that the feedback that's come in from the various interviewees is very positive. that's a big relief. because my inner perfectionist is one tough cookie to please. and she had her doubts. : : this week i spent an awful lot of time wearing my old green gap sweatpants and husband's big red gap hoodie, clutching my talisman stone and rocking back and forth in front of my laptop. : : i took my talisman stone to the bathtub with me. after clutching it in my sweaty little palm all week, i thought it might like a bath. is that weird? i showed my stone to my mom yesterday on a video chat and she said, "julie, get a life." i thought that was a little bit harsh. and i hope the stone didn't hear her. i'd like to do a post as cyndy suggested, where you ask sabin and me questions and we post the answers, so please leave your questions in the comments. that is right, isn't it, cyndy? my questions--with a look on the past and sabin's view on the same questions, but what she imagines her answers will be in the future. as cyndy says, "First car? First date? First day of college? First house? The list is endless..." so think along those lines in coming up with the questions. and happy friday to all of you. i for one am looking forward to the weekend. Too funny. I thought your mom read your blog. My mom would get wacky if I mentioned her in any negative light!! What were some motivation for blogging? Why did you click on blogspot? What are reasons for blogging? Who got you started or did you click on blogspot on your own? Wow. I have a lot to say here. 1) I mentioned wife-beaters in my Bean's Day Out post. It's a (probably politically incorrect) term referring to a sleeveless undershirt worn by men in the 50's and favored by Tony Soprano. It has associations with stereotypical men who are unkempt, drunk and beat their wives. And I'm so proud that the first blog pics of my husband featured him wearing one. 2) Reveiling your messy kitchen, husbandless eating habits and perfume-laden unshowered self has made you even more lovable if that is possible. 3) With 800 plus followers, be careful what you ask for. You may end up with 27 pairs of yellow chucks in your closet. 4) I regularly give my stones a bath. Clears the negative energy. We love our Mothers, but the aren't always right. 5) For our precious Sabin: Do you think you will marry a Dane (like Mom), an American or neither? 6) Basta. No more coffee for me today. Chuck Taylor was the athlete the sneakers were originally designed for. Or maybe the original designer? I forget which. Either way his name's on the logo, just below the iconic star. There are light yellow ones in the window of a shop up the road from me. They make them in any colour you can think of. Q for Sabin: when are you starting your own blog? Julie! I'm so excited! I think this "interview" will be wonderful for you and Sabin, especially in the wake of a chaotic week. Yes, you got the concept right, although this is blogging, so there are no rules, right? (except to enjoy!). Can't wait to see the questions and answers! Like TFM, I loved seeing your kitchen sink. Somehow made my last two days wrestling with laundry/hallway/someday-to-be-library area better. My low top converse sneakers are periwinkle blue without laces. The color soothes me and I feel 20 years younger when I were them. Bathing a rock? Here it rains, they are called wet rocks. With time moss grows on them. We probably have 100,000 of them on the property (for real). Some are pea size and a few are basketball size. Most will fit in your hand. None have names. None are pets. When dry, they are dull looking. When wet, some show patterns, inclusions & striping. Some are metamorphic, some igneous. All probably got rounded and smoothed out during the Pleistocene glacial age. It's too early for confessions for me but I never got the 'wife beater' thing either...I know what it is (a sleeveless white tank) but I don't get WHY it's called that. And as for Chuck Taylors...my husband and I call them 'chuck nucks' and I've been dying to get a pair of low top ones in grey! Go get your chuck on! i had a pair of black high tops years ago. think they were a knock off and not really converse, tho, cause that's when i was poor. now i have a pair of ed hardy's. and it's hard to limit myself to just one, but i have limited occasions to wear them so . . .
Sabin, will you have children of your own some day? how many? There really is nothing in the way of hygiene (or the lack of it) which parallels the awesomeness of a good Kenzo shower. Using perfume to override the stench of sweat is an art. hmmm. Maybe that could be my undiscovered talent...? ... and Nike now owns Converse. now i know what a wifebeater is. thankfully husband never wears those. wouldn't he need a mullet if he did? thanks everybody for the info on why they're called chucks. have they always been and i just didn't know? is it bad that nike owns converse? i can't decide. i've always kinda been a nike kinda girl (it's sorta like being nikon, right?) doesn't nike have only like 3 real employees and then whole sheds of children in indonesia? (i probably shouldn't joke about that stuff, i've already taken shots at the pope this week). i'm off to ensure that my sweat consists of pure chenin blanc. it's 5 o'clock somewhere, right? Now this looks like fun! I am with you on the wife beater t-shirts. Although sonny looked pretty hot in his, in the godfather movie! So would you consider calling your converse/ chucks- stars? I mean it's a east L.A thing/compton deal, but I can easily see you rocking your stars. This reminds me, it's Friday, I've been neglecting my confessions. The converse mania is definitely spreading. That yellow sounds nice. I spotted someone wearing a pair of baby blue and I want them now. I want them bad. I am so with you on the food stuff, when hubby is away we eat breakfast for dinner... ALOT! Had the idea to take a before and after of my kitchen sink area night before last but chickened out!!! Interview question... what did you want to be when you were 8? what does Sabin want to be when she's grown? --What are your most and least favorite things about living in Denmark, and why? --If you could leave tomorrow to travel anywhere in the world, where would you go? (Assuming all bags will be packed appropriately for you, and not by That Girl.) Would your answers change if we asked 8-year old Julie and grown-up Sabin? Am fairly confident that my kitchen could beat yours in a Mess-Off any day. Clearly something to brag about. - Loves of each season? - Dream jobs in a world without money? - A few favorite songs? Hope I got that right. I think that's what you meant. And I kind of like the confession idea. Maybe I'll try it. You wouldn't mind, would you? ps - You prayed to Odin again. I love chucks and though I didn't really know him in that time frame - I love to say that name over and over. I will wear my chucks today as I go off in seach of something. Thank you for that sink shot because I have really been envying your kitchen after the magazine picked it up and now I feel normal again. My first dog (a collie) was named Nike because that's the only brand of shoe he would eat. Unfortunately I grew up in Eugene, Oregon, the "birthplace of Nike" so that's mostly the kind of shoes we had in the house. Happy dog, though! Oops! Forgot to write my questions. Julie, what did you think you'd be when you grew up? Did you picture yourself still in the states then? Sabin, what do you think you'll do someday? Will you probably live in Europe? Oh, and F.M. one of my sons has a slight crush on Sabin (shhh don't tell her) so, I am sure she will be marrying an American/Midwesterner - Julie would be a fab mother in law! I love you holding your stone. I have them everywhere - everywhere, even keep one in my dog's bed, maybe that is why she doesn't sleep there? About my stones, move them around inside & out. Twice, I've had to bleach them back to recognizable life. Even keep them in decorative bowls. Think I'll go give one a scented oil bath right now. Great idea!!! Question: If it were up to you, any subject, what would you change? My 14yo daughter has yellow chucks, red chucks, purple chucks, and CLEAR chucks that you put pictures in. At her spring dance she wore a beautiful knee length sliver sparkely dress with her purple chucks. Not sure if I have a photo, but I'll look around. I'd beat my husband if he wore a wife beater. I don't need to see his arm pit hair at the dinner table. Or ever. Unless he's naked, but we don't want to go there now. My family is a "journalism family" yet my sister and I are scientists (she has a PhD, I have a PharmD). Thanks for confessing about your kitchen! Makes me feel soo much better! On Monday, when May is over, go and get those Converse! I had to stop my Think before you buy challenge because my birthday is in three weeks and I was already using that as an excuse to get me things... I got a Nikon D40 as a present with my boyfriend, so I'm a Nikon girl too! It is time to come up with a rock house. Somewhere to put it when not in use and therefore it does not get lost. A little decorative box is good, on a shelf close to the computer. Put some scents into the box for an added treat. Questions: Julochka, what was your favorite hobby as a girl and Sabin what is yours now?